Companies are shifting from selling devices to building long-term service relationships with millions of consumers and businesses. Monetizing these relationships requires a solution that knows how to price, bill and recognize recurring revenue for complex hardware / software packages. 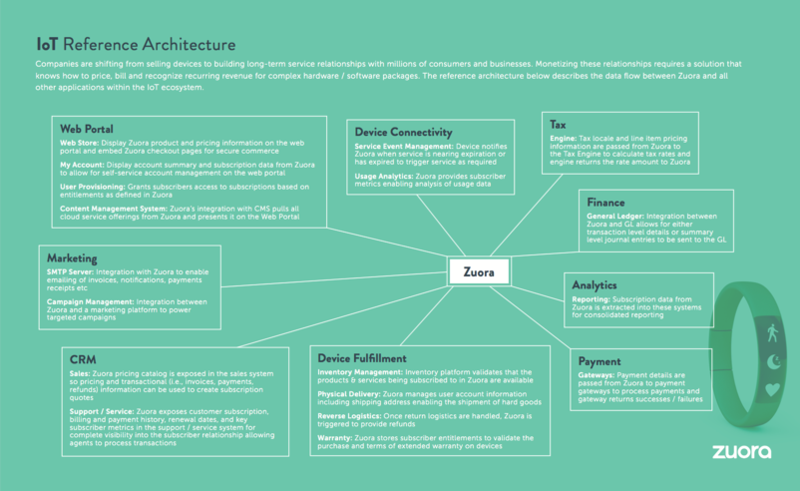 The reference architecture below describes the data flow between Zuora and all other applications within the IoT ecosystem. Customers today are demanding ongoing services and a relationship that goes beyond the initial sale.